Elections always result in a bidding war between political parties to attract votes by granting gifts or concessions. Bidding wars are not confined to elections however they are the greatest manifestation and deny the community its responsibilities at the expense of the public purse. Governments cannot take back these freebies and each of these taxpayer-funded gifts further encourages a sense of entitlement among the population. This overlooks the cost of these services and their contribution to limiting real help to those who need it. 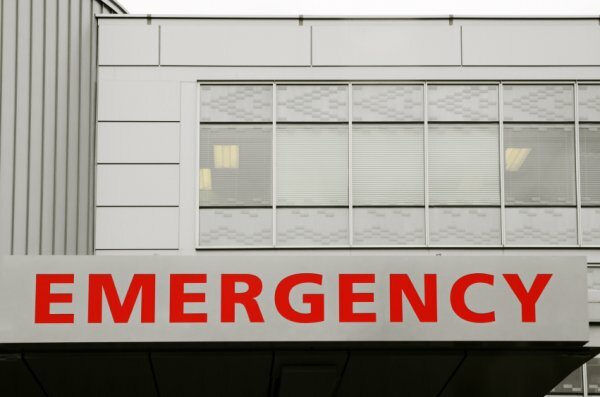 Hospital emergency departments should charge a fee, not to recoup some of the expensive overheads but to remind patients there is a cost. This might encourage people to seek other assistance for frivolous complaints, freeing up services for more serious cases. Subsidies abound. For having numerous children (never mind population pressures) or childcare (so you can go back to work). So do concessions: pharmaceuticals, transport, rates and rents, for example, and particularly for the elderly, justified because they have paid taxes all of their life (but why should we expect a refund?). Often there is no or inadequate means-testing in granting these benefits. The issue is not that there is a test, deficient as it may be, but that such concessions exist at all. What is ignored in government largesse is someone has to pay and it is usually those who are perceived to be able to do so, overlooking the effort and sacrifice they might have made to achieve financial comfort. Why should those who spend income in other ways than providing for old age expect to receive the charity of the State? Further, if those who pay are so charged they will seek ways to minimise these payments and the reduced return to government either will create a bigger deficit or deprive those who do need help from receiving it in proper quantity because others are benefiting who should do without. The most damning example of misplaced government philanthropy however is in the fields of art and sport. The arts does not enjoy the populist appeal of sport and thus is funded with care. Nevertheless if people want culture they should pay more for it or do without. Cutting cloth to suit purse would curb extravagances. Leaving aside profitable ACT land deals (still raising unanswered questions), ongoing financial aid to football codes already backed by poker machine-supported clubs or healthy payments to build and upgrade other sporting venues raise issues of genuine public benefit and indulging minorities. Any claim Canberra benefits by incoming tourist profits from such investment should be backed by publicly released audited accounts, otherwise governments should not have a role at this level and should concentrate upon amateur junior activities, if at all. We have drifted so far from a sense of personal responsibility it will be a brave government which acknowledges the problem. It will be an even braver administration which attempts to address the community expectations of dependency seemingly now part of our DNA. Watch people squeal when they suggest taking away the private health insurance rebate. Since people are bullied into having private health insurance whether they find it good value or not (via the Medicare Levy Surcharge), so there should be a tax rebate on the premiums! If both the carrot and the stick were removed, fair enough – people could then choose health insurance or not based on its merits. But removing the surcharge along with the tax rebate never gets proposed. That’s the way it used to be and it worked well. There was no Medicare surcharge and private health care premiums were tax deductible as were doctors fees, hospital, dental and pharmaceutical etc. In the town I lived in GPs would do consultations and home visits for free where there was financial hardship involved. The universal health care introduced by the Whitlam government was not needed at all. All it did was create an industry with endless guaranteed income and doctors became businessmen overnight. The real sense of entitlement came about as a result of “middle class welfare” policies. It enabled a culture where people could be jealous and resentful of society’s most vulnerable. The right would be dead if people couldn’t blame equal or lower SES people for their problems. All this, and they haven’t been in power for the majority of the last decade! A visitor could be forgiven for thinking that the Libs must be true evil geniuses, able to wreak such havoc that successive Labor governments are unable to correct the damage. That, or maybe some people’s thinking is clouded by outrageous bias. Now that we have a discussion about the Howard government going it is pertinent to mention their role in creating the obesity epidemic in this country. Thanks to September 11 and the middle class welfare handouts we developed a bunkering down mentality. People spent their Baby Bonus handouts on plasma TVs and home theatres. Instead of the happy, healthy society we had during the Hawke/Keating era we had a society where – instead of going to the gym and jogging – people stayed on the couch watching TV and ordering in pizzas with their mobile phones. I remember being disgusted every time I walked into Woolworths Queanbeyan and seeing the grossly obese slugs waddling around. I always thought “Is this what we’ve become”? “Is this the result of having Howard and Costello balancing the Budget and paying off the foreign debt”? The Howard era was a shameful period in our history in more ways than one. A lazy era, an era of excess and misery for the country. When we binged on the handouts, became fat and complacent and let our self-respect and self image go flying out the window. Let’s hope it never happens again. As you can see, the dramatic increase in obesity rates began during the Hawke era, and continued during the Keating era. You might need to revise your version of history. Where did you source that opinion from? It sounds like a rejected Bob Ellis speech. That was a good laugh, John. Rudd “trumped” Howard using the GFC (which was never an Australian problem) as an excuse to give $900 cheques to everybody, even dead people, and the rest is economic history. The GFC was a northern hemisphere problem and it happened before Rudd announced the stimulus packages. Let’s not forget the scandalous “school halls” programmes either. Was it really worth the $500 billion debt that has resulted to give some of you people a warm feeling? How would Rudd have repaid his debt? Any suggestions? How much of that was due to the stimulus? $40? $80? I wonder where the rest of that figure comes from? But if the Rudd/Swan stimulus actions “saved” Australia’s economy and made us the envy of the other debt ridden nations, why was it necessary for successive Labor governments to borrow vast amounts of foreign money? That’s where your structural deficit was started, comrade. The money went to recurrent spending programs put in place by your saviour John Howard. Instead of creating a sovereign wealth fund or implementing nation building infrastructure projects, he bought votes. The fact that successive governments have not reduced this spending is on them (and us) but to deny that Howard wasted his windfall gains as if they were normal is ignoring reality. Although it’s interesting that you think me talking about fiscal responsibility from successive governments is left wing or socialist. It just shows how far the public perception has been warped by those profligate Howard years. Howard had no problem funding the recurrent spending programmes he put in place. In fact, he made recurrent surpluses. He also created the Future Fund which is the next best thing to sovereign wealth fund. Ironically, the Future Fund is replacing Australian investments with international ones which is a real sign of confidence in this country’s future. Unfortunately, this money will be used to pay part of parliamentary and federal public servants’ retirements. That is another area of “entitlement” that needs review. Sure, Howard made some outrageous promises like “no child shall live in poverty….” and his introduction of the unnecessary, unfunded, open-ended Gonski and NDIS has taken entitlements to a new level. Oh, I wish we could return to those profligate Howard years. Your really showing you have a very limited understanding of economics with that last comment. Of course Howard had no problem funding his recurrent spending, he was drowning in rivers of cash from the mining boom and asset sales. The problem was he ramped up recurrent spending to match his temporary windfall revenues, instead of saving it or investing in major infrastructure projects. And what happens when the temporary revenue reduces to normal long term averages? Structural deficit. He could have had a few hundred billion in a sovereign wealth fund but instead he gave it all away in unneeded tax cuts and middle/ upper class welfare. Howard was really a magician; I mean he gave away all that money and he wasn’t even in government. Yes of course, Now I understand your argument. Government policies have no lasting effects and economic cycles don’t exist. Along with Australian government’s having total control of the global economy depending on who’s in power. You’re right, it truly is amazing that according to your argument Howard was both omnipotent whilst in government but his policies ceased to have any impact post the 2007 election. I think you’re underselling him as a magician, sounds like he’s your deity. I am not “arguing”; more so putting some balance in the debate. The fact that Howard was around a long time is proof he was delivering what most Australians wanted. How many Labor PMs followed and how long did they last after Howard lost in 2007? I think Howard, as a PM, was as good as it gets. The fanatical Howard Haters will always disagree with me. Funnily enough, I thought I was providing the balance to the debate. I have no doubt that Howard was delivering what the people wanted, “free” money seems to do that to voters (see recent ACT election for another perfect example). Which Is why I don’t blame Howard for his actions, he was simply playing the politician and doing what was necessary to stay in power. If he had acted in the right way as I’ve suggested here and set up a sovereign wealth fund, he would have been potentially gifting a future Labor government a massive spending war chest that they could then use to buy votes as Howard made an artform of. It may have been the right thing to do but it would have taken a brave Australian politician to do it and we don’t have many of those around. One subtle difference about that “free” money though. As soon as Labor got in they blew the lot and started borrowing but they didn’t withdraw the “free” money (aka entitlements). We still have a few “brave” politicians around but they don’t have the numbers in both houses to do anything and that situation doesn’t appear to changing. I find it amazing that a lot of people still call Australia a “rich” country. In fact, we are so rich that we can even borrow more money to pay the interest on exiting debt. That’s the point though, Howard was borrowing it. Off future generations. The Liberals stated economic policy was to have a balanced budget across the economic cycle. This means they should be running very large surpluses in the unbelieveably good economic conditions we faced in the late 90’s through to mid-late 2000’s. This would then be offset by deficit spending during economic downturns, such as the GFC. So although Howard’s surpluses were good, they should have been much bigger, particularly in his last term when the reserve bank was forced to raise interest rates to try and rein in the economic heat. Instead of government fiscal policy being complementary to the monetary policy, they were actively spending in a pro-cyclical manner assuming that their revenue growth rates were a new normal. I’ve heard some spin in my time but that wins the gold medal. It was during Howard’s time that the senate committees were told the copper communications network needed wholesale replacement and fibre was the best thing to replace it. A large part of why Howard was voted out was that schools and hospitals were being starved of funds, there were minimal large infrastructure projects happening. I would have rather funding in to health and free University and TAFE training than tax cuts and selling national assets. Well, Howard hasn’t been running things for nearly 10 years and you can honestly say things are so much better? Annnnddd, I’m done. There seems to be zero point continuing a discussion about economics when you refuse to even acknowledge basic concepts. I’d bet that you’re one of those people that think a country’s budget is the same as your household’s budget. Repeat after me: Surplus good, deficit bad. Another one of Dungfungus’ financial guru’s, how did she do it? Amazing, she’s still got $2k in the bank. Only problem of course he was able to get surpluses etc because of two things. Mining boom and asset sell offs. Mining boom is over and the most valuable assets have been sold. I agree that Howard was rather silly, selling Qantas and the Commonwealth Bank.